Crying has fascinated mankind for millennia. Since ancient times, we have known that emotional tears are a unique human characteristic. Unsurprisingly, over hundreds of years, scholars from different backgrounds have speculated about the origin and functions of human tears. According to Charles Darwin, tears fulfilled no adaptive function. And yet, this seems in sharp contrast to statements in the popular media about the significance of crying. Crying is thought to bring relief and is considered healthy—and withholding tears unhealthy. In addition, tears have been said to inhibit aggression in assaulters and to promote social bonding. Perhaps that could explain why tears have been so important in our evolution. Ad Vingerhoets is one of the few scientists in the world to have studied crying. 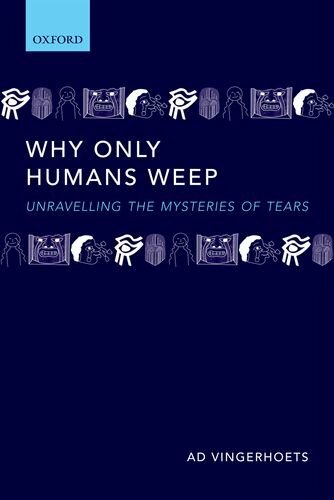 He examines in Why Only Humans Weep which claims about crying are scientifically tenable—which are fact and which are fiction? Though a psychologist, he doesn't just restrict himself to the current psychological literature, but also explores work in evolutionary biology, neurosciences, theology, art, history, and anthropology to provide an integrated perspective on this complex phenomenon. 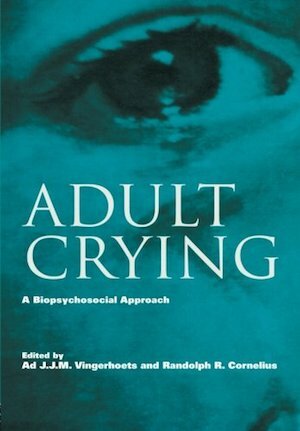 Written throughout in an academically accessible style, this book is groundbreaking in contributing to a modern scientific understanding of crying. It will have broad appeal to psychologists, psychiatrists, philosophers, biologists, and anthropologists. Crying is a typical human expression of emotion. Surprisingly, until now little scientific attention has been devoted to this phenomenon. Many textbooks on emotion fail to pay attention to it, and in scientific journals there are hardly any contributions focusing on this behavior. In contrast, there is much interest from the lay public, allowing pseudo-scientists to formulate theories that have little or no scientific basis. Is there any evidence in support of statements that crying is healthy or that not crying may result in toxification? How do people react to the crying of others? Is crying important for the diagnosis of depression, and if so, how? This book aims to fill this gap in scientific literature. Crying is discussed from several perspectives and specific attention is given to methodological issues and assessment. Each chapter provides a review and a summary of the relevant scientific literature. Intimately involved in our behavior, cognitions, and interpersonal communications, emotions are basic building blocks of our existence. And it is increasingly understood that their regulation, whether adaptive or dysfunctional, is also intricately linked to the gamut of somatic and mental health issues. Emotion Regulation and Well-Being gathers experts from various branches of psychology, psychiatry, and neuroscience to review emerging and ongoing areas of interest for a lifespan approach to this complex topic. Its cutting-edge coverage is balanced between theoretical constructs and clinical concerns, to be as helpful to the reader interested in a deeper understanding of emotion expression in depression or new issues in repressive coping as to the one looking to add emotion regulation strategies to his or her clinical toolbox. Emotion Regulation and Well-Being is a state-of-the-art reference for health and clinical psychologists, neuropsychologists, and psychiatrists. It is also comprehensive enough to be a useful postgraduate text in health psychology, psychosomatics, clinical psychology, and social psychology. Emotions: basic products of human functioning, intimately involved in physical health, they have been alternately embraced and ignored by generations of researchers and practitioners. Emotion Regulation offers a much-needed corrective to the conventional clinical wisdom, updating the knowledge base on emotions—specifically their expression and inhibition—as they affect stress, health, and well-being. An international team of researchers from a variety of fields sort out conflicting affect/health theories, and provide the latest findings on inter- and intrapersonal functions of emotions while acknowledging the role of individual variables. • Emotional intelligence: is it really intelligence, and can it really be assessed? 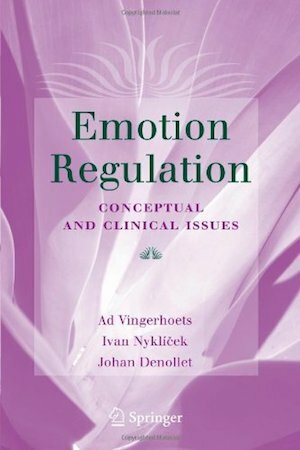 This wealth of insights makes Emotion Regulation a practice-enhancing work of particular interest to clinical and health psychologists, neuropsychologists, and psychiatrists working in medical settings. The book is comprehensive enough to be a useful postgraduate text for these and related fields. Mobility of mankind has increased enormously in the past few decades. People leave their homes and native countries for business and study, for vacation, or to flee from unsafe conditions like wars and natural disasters. In all cases the sojourner faces a dual challenge of breaking with the familiar home environment and adjusting to new surroundings. This book deals with the psychological and health consequences of leaving the familiar home and the process of creating a new one. The focus is mainly on acculturation stress and homesickness, which both are relevant to those who travel. Acculturation refers to the process and outcome of a person’s encounter with, and adaptation to, a culturally new and different environment. Homesickness is defined as a depression-like reaction to leaving one’s home. The contributions in this book present empirical data as well as theoretical and conceptual discussions. Causes, consequences, moderating variables, and theoretical explanations are discussed. Both short-term (e.g., vacations) and long-term (e.g., immigration) separations from home receive attention. By combining these different but related topics, this book provides a valuable overview for researchers, teachers, students, and professionals working with people who present with problems related to migration or traveling. This unique approach will be of interest to all those in the fields of health and medical psychology and psychiatry, and behavioural medicine, as well as professionals working with patients in whom emotional expression or inhibition may play a role in a disease's etiology, course, or prognosis. How can the influence of behavioral factors on health and well-being be measured? Research over the past two decades has shown that psychological factors and lifestyle have been found to be relevant to the onset and course of disease. In addition, these factors codetermine how patients and those in their social environment cope with illness and what their quality of life is. 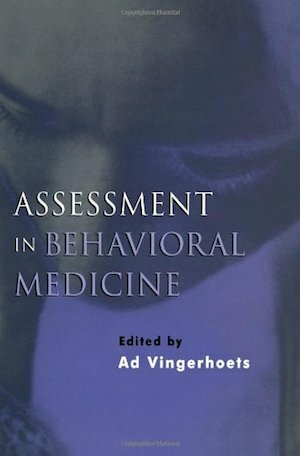 Assessment in Behavioral Medicine gives the reader a greater understanding of the influence of behavioral factors on somatic health. There is a continuing need for research to better our understanding of the processes that play a crucial role in the influence of psychosocial factors on health. However, the proliferation of tools for assessing psychosocial and psychobiological factors makes it difficult to make an optimal choice of measurement. This volume aims to advance the state of measurement in the multidisciplinary fields of behavioral medicine and health psychology by bringing together state-of-the-art theory and research on assessment issues in this area. It provides the reader with an insight into the different kinds of measures that are available, along with practical guidelines for choosing the appropriate tools and designs to meet specific research questions. Assessment in Behavioral Medicine is a unique resource for students, researchers, clinicians, and teachers who are involved in education, research, or clinical work in which measuring behavioral and psychosocial factors is a crucial activity. Chemosignalling effects of human tears revisited: Does exposure to female tears decrease males’ perception of female sexual attractiveness? Patient Crying in Psychotherapy: Who Cries and Why?